Napoleon Bonaparte was the right man in the right place at the right time. He grasped every opportunity that was presented to him (and created a few that were not) to ensure his dramatic rise in a dramatic time in French history. 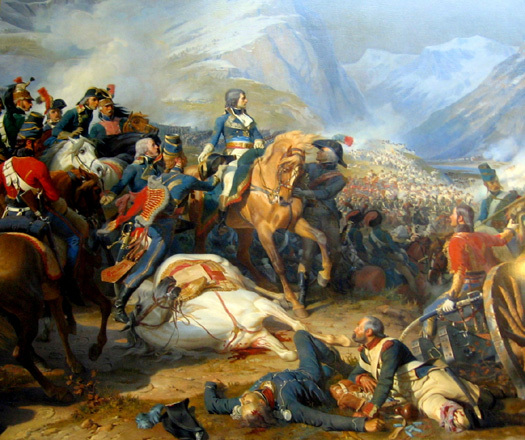 Having been given command of the French army of Italy in 1797, Napoleon began campaigning against Austria in northern Italy. He won virtually every encounter between the two sides and his reputation for success was secured. Even his failed expedition to Egypt was painted as a success, or at least as an insignificant sideshow. In 1799 he became first consul. In 1804 he was proclaimed emperor of the French. Despite radically reorganising France's legal and administrative system (which reforms are largely still in place today), Europe's crowned heads saw him as an upstart, a symbol of the menace of republicanism, and a direct threat to their sovereign authority. They waged war after war against him until he was finally beaten in 1815, having already abdicated the throne in 1814. He hoped that his infant son, Napoleon II, prince of Rome, would be allowed to succeed him in Italy but that was never a realistic proposition for his enemies. Despite the loss of power, not only over France but also over several other European states and principalities, Napoleon's successors as head of the House of Bonaparte retained the title of imperial highness. Napoleon's own son died young, so his brother succeeded as the family head and it is his descendants who feature in the list of names below. Today there are no remaining descendants in the male line from any of Napoleon's brothers other than the youngest, Jérôme. There are, however, numerous descendants of Napoleon's illegitimate, but recognised son, Walewski, from his union with Marie, Countess Walewski of Poland. The American Bonapartes were senior in descent from King Jérôme, but the last male of that line died in 1945, although this branch was never considered to be dynastic anyway. Son of Corsican nobles. Emperor Napoleon Bonaparte. Exiled. Following Napoleon's failed expedition to Egypt, the French Republic's Directory is swept away by a coup on '18 Brumaire', 9 November. Although several members of the failing Directory support the coup, one of its main instigators is Napoleon himself. He becomes the head of the new government as 'First Consul'. The Second Coalition is formed by Austria and Russia in order to regain HRE and Italian territories. On 18 March 1804 Napoleon Bonaparte is proclaimed emperor of the French (First Empire). In May 1805 he is crowned king of Italy in Milan. His enemies form the Third Coalition against him but he defeats their armies in turn. As a result he commands much of mainland Europe for the next eight years. However, at sea, the Battle of Trafalgar proves once and for all Britain's naval supremacy, pounding the French and their Spanish allies in a crushing defeat. Napoleon is defeated and abdicates the thrones of France and Italy. The Bourbon monarchy is restored under Louis XVIII, and northern Italy is regained either by its previous owners or it is drawn into the Austrian kingdom of Lombardy-Venetia. The czar of Russia, less antagonistic towards the former emperor than other European monarchs, helps in the choice of the Mediterranean island of Elba as a small kingdom to which Napoleon can retire. Napoleon returns from exile for the Hundred Days rule, and Louis XVIII flees to Belgium. Europe mobilises against France and the duke of Wellington's Anglo-Dutch-German army defeats Napoleon at the Battle of Waterloo on 18 June in conjunction with the Prussian army, ending twenty-five years of war in Europe. Some weeks afterwards, Napoleon abdicates in favour of his son, Napoleon II, and ultimately accepts exile to the Atlantic island of St Helena. He dies there in 1821. Son. 'King of Rome'. Died of illness in virtual captivity aged 21. Son of Louis Bonaparte. Emperor of the French (1852-1871). Prince Louis Napoleon Bonaparte, who has been president of France since December 1848, now declares himself emperor, and the republic is replaced by the French Second Empire. Sadly Louis badly miscalculates the European political situation in 1870, with the result that France is humiliated by Prussia in the Franco-Prussian War. The empire collapses and Louis Napoleon goes into exile in England where he later dies and is buried. His family relocate to England to be with him, including his son Eugène who later joins the British army. Son. Died fighting the Zulus in British South Africa on 1 June. Grandson of Jérôme Bonaparte by his second marriage. 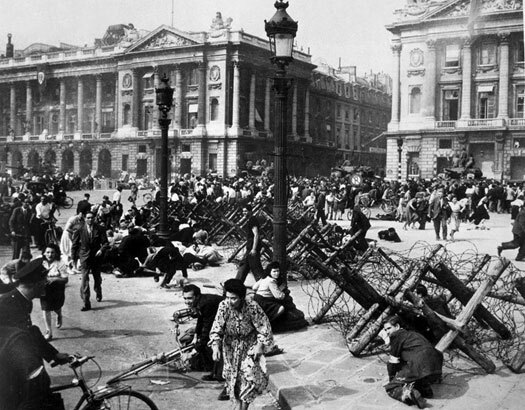 A provisional government is established in France following the liberation of Paris on 25 August 1944. Marshal Henri Philippe Pétain, hero of Verdun in the First World War, is condemned to death for his part in appeasing the Nazi Germans, but his sentence is commuted to life imprisonment. Upon the death of Louis, Prince Napoleon, in Prangins, Switzerland, the succession officially passes to his eleven year-old grandson, Jean-Christophe, bypassing his son and Jean-Christophe's father, Charles. This is despite Charles being officially recognised as the heir apparent during his own lifetime, and it does not prevent some Bonapartists from continuing to view Charles as the rightful head of the House of Napoleon Bonaparte, while others accept Jean-Christophe as the current successor to Napoleon I. The solicitor to both Louis and Jean-Christophe states in an interview to Le Figaro in 1997 that Charles' exclusion has been due to his espousal of 'republican and democratic opinions'. In subsequent interviews Charles generally agrees with that claim, preferring the Napoleon I of the French Republic to the version who had led the First Empire. Son. Born 1950. Bypassed by his father. Son. Born 1986. Official heir and current head of the house.